As well as our comprehensive range of window and door systems, at Profile 22 we also offer a high performance and bespoke cutain walling system. Ideal for new-build or refurbishment developments, cutain walling is a fast and cost effective way of incorporating large areas of glass into a building. Ideal for commercial buildings or residential apartment blocks, our SK200 cutain walling system delivers a sophisticated and stylish appearance with the highest standards of durability, security and energy efficiency. The large expanse of glass not only makes for an attractive feature, but also provides maximum ventilation and natural light to create an airy and brighter environment for your customer. Cutain walling is a cost effective solution for bringing natural light into large areas, and as well as the aesthetic benefits it also offers high value performance features, including its advanced thermal and security functions. Our cutain walling offers substantial savings through advanced design and engineering to ensure that your customer benefits from the best product at exceptional value for money. Designed with an aluminium frame and PVCU cladding inside and out, the thermally-broken aluminium cutain walling delivers ultimate thermal efficiency to help your customers benefit from lower energy bills, as well as creating a warmer and brighter space. 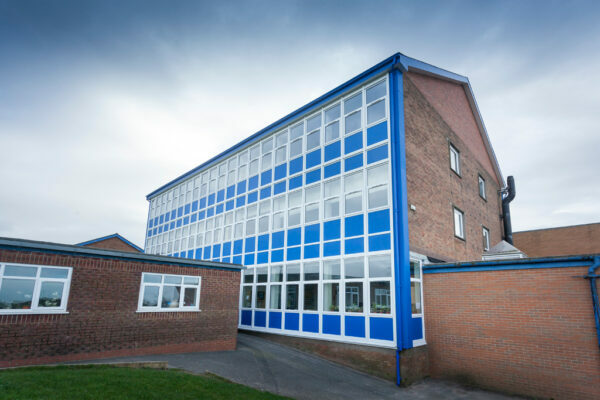 The flexible SK200 cutain walling system is designed to accommodate all Profile 22 window systems in 60mm and 70mm, and comes in a wide range of colours and finishes in order to suit your project requirements as well as the existing architecture of the building. At Profile 22 we have over 30 years experience supplying a range of window systems, doors and conservatories to residential and commercial properties across the UK. By partnering with us you can have access to our unbeatable range of systems as well as our expert and professional technical support to help give your customers an unrivalled level of service. To find out more about our cutain walling systems, contact us today and talk to one of our friendly advisers. Our curtain walling is made using thermally broken aluminium, capped with PVC-U sections. The PVC-U capping makes an attractive finish that’s a perfect partner to our windows or to spandrel panels. The system can accommodate either 60mm or 70mm frames or panels and has the benefit of being quick and simple to install. The credentials of the Profile 22 curtain walling solution will satisfy any architect’s or specifier’s demands for a sustainable and ultimately recyclable option. 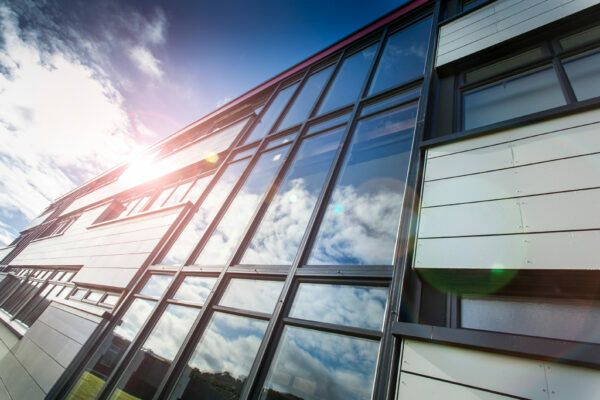 The thermal performance is excellent, and when combined with our outstanding window systems, it can make a considerable difference to a building’s insulation and long-term energy consumption. 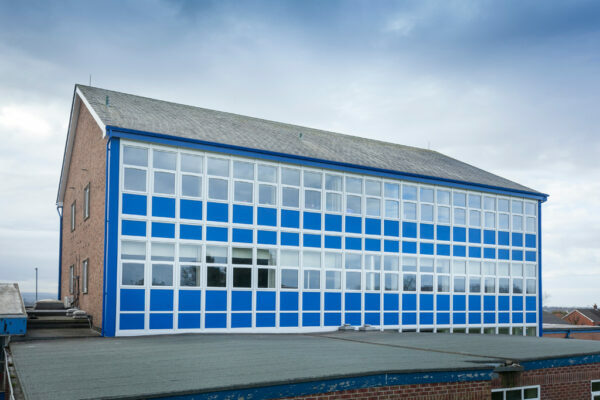 Our system is available in a vast range of colours and finishes to complement any building, glazing or infill panel scheme. And because our PVC-U components are simple to maintain and never need painting, high-quality aesthetics are a long-lasting feature that the construction industry has grown to trust and respect. Every curtain walling project is unique. Over the years, we have collaborated with developers, architects and specifiers to design the perfect result for a wide variety of properties, large and small. If you would like any advice on curtain walling, we’ll be more than happy to lend you our expertise. Do get in touch.